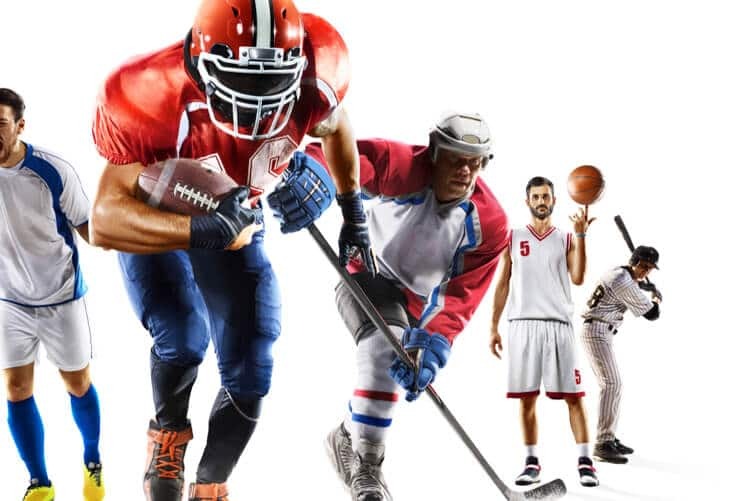 What Is The Athletes' Place In This New Era Of Sports Betting Expansion? There was more news this week — as it seems there is every week these days — about gaming operators working out partnerships with pro sports leagues. But sometimes almost forgotten in all this talk about sports betting deals are the athletes themselves, a situation partly remedied by an engaging 45-minute panel at the ICE Sports Betting USA summit in Manhattan on Wednesday. “We feel like we should be at the [negotiating] table,” said Corey Schwab, the VP of Business and Legal Affairs for the NFL Players Association. “We feel we should be compensated, whether you call it an integrity fee, a royalty fee, whatever,” David Foster, deputy general counsel to the NBA Players Association, said. “It’s more of a fairness argument. This is an industry where labor creates a product, a third party now is going to benefit exponentially, and states — government — get to pick and choose who gets to be the [sports betting] licensee. If you think you are hearing the drumbeats of some civil wars ahead, well, we’re not there yet. Schwab, Fehr, and Foster all acknowledged that just six months beyond the U.S. Supreme Court’s ruling that wiped out a 1992 federal sports betting ban, negotiations are just beginning in this brave new world. The three leagues have sports-related income contracts that make the players roughly 50-50 partners in revenues. Foster said that means the players should see benefits from these sports betting deals, but Schwab said whether it will work out that way isn’t entirely clear just yet. One thing that the players unions seem to have going for them is regular communication and like-minded views. The leagues, meanwhile, are all over the map. For example, you have the NHL surrendering on the “integrity fee” effort, the NBA, MLB, and the PGA Tour still preaching that mantra at the conference, and the NFL simply focusing on federal legislation for more uniform regulation. “We have been working together, and … it’s better to be on this side and being aligned, than on the other side where the leagues are misaligned,” Schwab said. Fehr doesn’t see the attitudes of the leagues the same way Schwab does. One of the challenges faced by all of the unions is that the players they represent are individuals who can’t always be lumped together under one school of thought. Advances in technology and the intersection with widespread legal sports betting may be the most overlooked angle stemming from the Court’s ruling. Both the NHL and National Lacrosse League, for example, seem eager to offer bettors a variety of gambles based on advanced measurement of player performances. The player reps have a different take. Fehr called the matter “obviously a subject of major concern,” while Foster went further. Schwab pointed to yet another pending issue: “equality between what an owner can do and what a player can do. So [Dallas Cowboys owner] Jerry Jones can go make a deal with MGM and [Cowboys quarterback] Dak Prescott cannot. That’s a problem for us. “And our [collective bargaining agreement] signed in 2011 — while it was being negotiated in 2010, no one was thinking about compression shorts that can track your heart rate and metabolic rate,” he added. Fehr, the senior member on the panel, seemed in agreement with the sentiments but had his doubts that the technology and sports betting tide can be halted. Can horse racing trim its “takeout”? Elsewhere at the ICE sports betting conference, a panel discussion addressed the impact of sports betting on the horse racing industry in New Jersey. With legal sports betting operating on far lower betting margins that the 15% or more “takeout” enjoyed by tracks on pari-mutel wagering — sometimes now in the same building — a question was raised as to whether the horsemen can or should trim their margins. “Everybody says that,” said Meadowlands Racetrack operator Jeff Gural. “And truthfully, if I owned a racetrack that had a casino, where the casino was funding everything, I would lower the takeout. It’s a no-brainer. On the same panel, Colossus Bets CEO Bernard Marantelli countered that he thinks the takeout should change, citing the premise that reducing the takeout allows a bettor’s money to last longer, thereby increasing their level of loyalty. So a change could happen, then? What did the PGA Tour think of the Tiger Woods vs. Phil Mickelson pay-per-view match? I asked that question of Tour executive Andy Levinson after his appearance on a panel at ICE on Tuesday. I also sought clarification on reports that the Tour may have stepped in to tamp down the amount of “side bets” made by Woods and Mickelson. “First of all, they weren’t side bets,” Levinson told USBets. “They were charity challenges. We did have the opportunity to make recommendations, but we were not the organizers and did not set the rules. Levinson said that both players did “great work for charity” — $800,000 changed hands — and he was pleased that “both players were grinding there at the end” of what wound up as a 22-hole match.